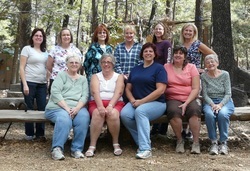 Mothers of Preschoolers (MOPS) is an outreach ministry that many women serve or participate in. Giving the benefit of experience and time to care for young children enables new mothers time to breathe, gain fresh perspective on their calling and family goals, and see God’s continuing care for them. MOPS meets during the school year on the 1st & 3rd Wednesday of each month at 9am.